The spark transmitter was dismantled and replaced by a valve transmitter on 500 kc/s. [However, a newspaper report suggests this did not happen until 1934 or early 1935.] 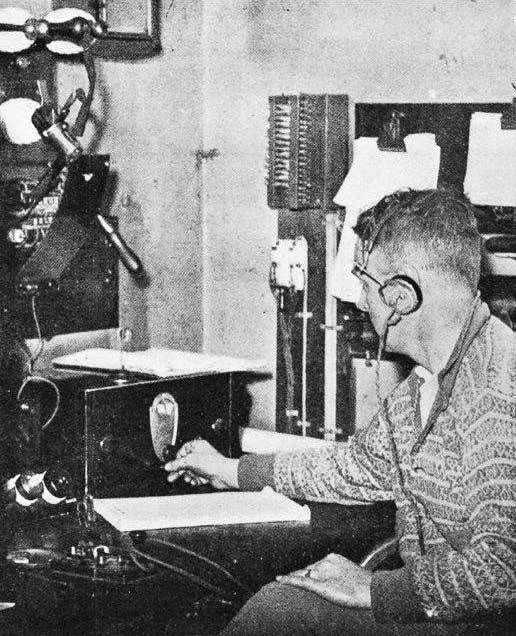 Trans-Tasman radio service from Wellington was first tested – Awarua monitored this circuit. Awarua assisted the Ross Sea whaling fleet with traffic to Bergen Radio Norway. 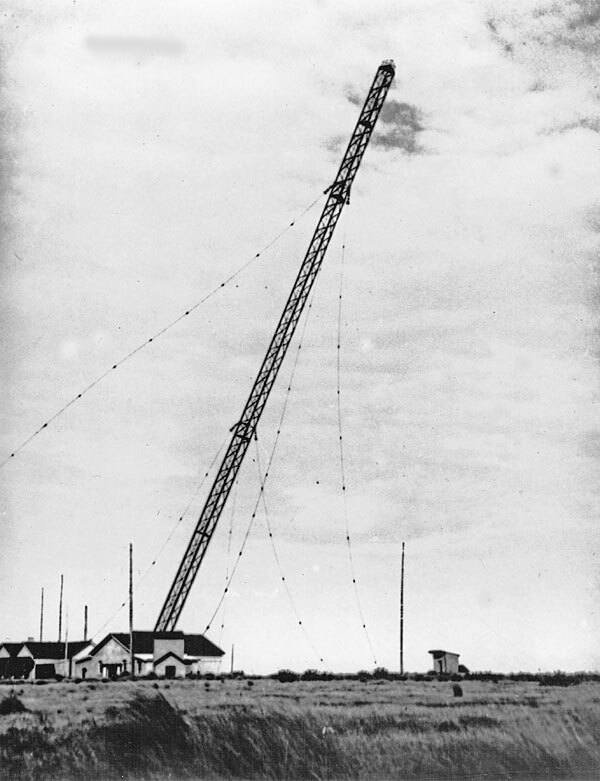 Halfmoon Bay – ZLO opened for communication with Awarua on 500 kc/s. Halfmoon Bay – ZLO closed due to installation of cable. Communication opened with Milford Sound. Empire Broadcasting Service monitored daily and returns sent to Head Office. ZLB operating building (left), engine house, and 400′ mast, pictured in 1935. Enlarge the photo to see details of aerials. Epidemiological Bulletins were copied from Saigon and Salabar. 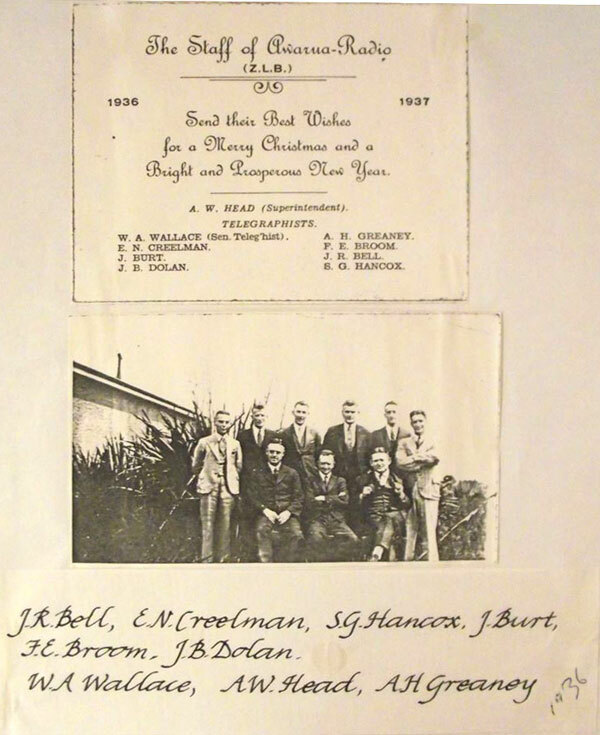 Awarua monitored Charles Kingsford Smith’s ‘Southern Cross’ flights. Auckland Weekly News, 17 July 1935. 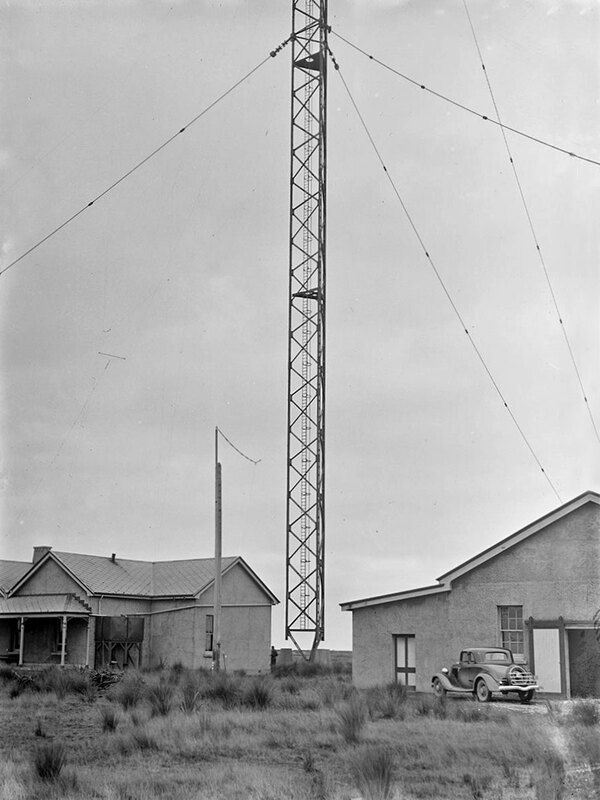 Communication made with Jackson’s Bay (Southland West Coast) and the SLT service was introduced. The 394 ft steel mast was felled on 24 March (three years later it was replaced by three 150 ft steel towers). 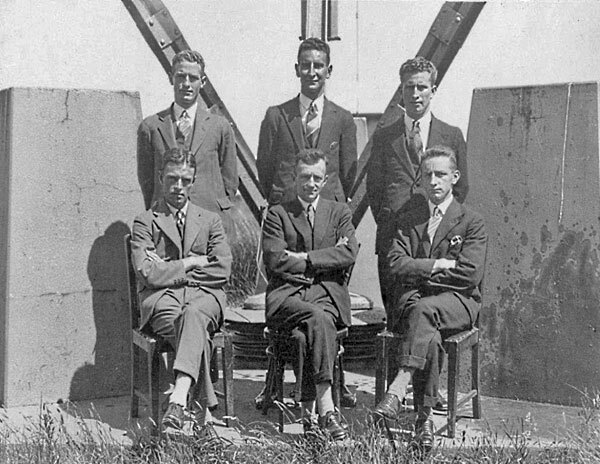 Charles Rillstone, who first worked at Awarua Radio ZLB in 1916, was the engineer in charge of dropping the tower. 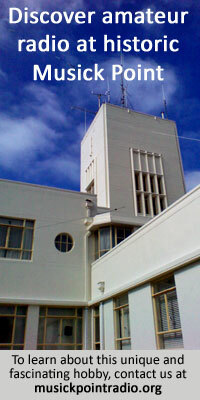 Prior to its demise the mast was climbed in 1937 or 1938 by Winnie Hancock (nee Campbell), Station Housekeeper and perhaps the only female to do so. Radio operator Pat Columb is also said to have have climbed the tower for a bet of £50. Empire Broadcast Service monitoring ceased. A house for the Awarua Superintendent was completed and the first occupant was AW (Hec) Head. 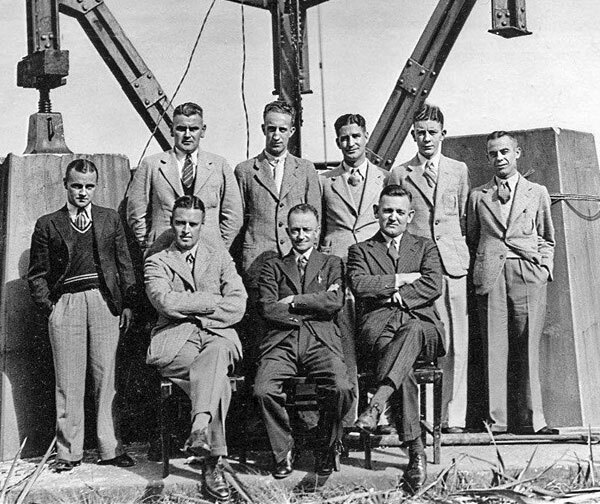 A meteorological balloon service was introduced for wind observations, and the first observer was JJ Hughes. HF DF No.1 was opened to supply bearings to Trans-Tasman flying boats in conjunction with Auckland (ZLF). Centre Island (RFP) service opened on 500 kc/s. Naval services commenced and staff numbers increased. All coast radio stations came under control of Radio Division and Superintendents became District Controlling Officers.